What kind of papers does IJIIRD publishes? 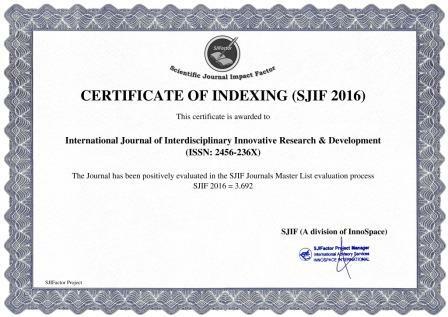 IJIIRD aims to publish research papers in all the areas of Science, Engineering and Technology. The research paper publication process starts with the submission of your research paper & the peer review process usually complete within 2 days time, depending upon the number of research papers in the pipeline. You can submit the manuscripts online by clicking on Submit manuscript or mail to editor@ijiird.com. Your paper must be in either Word document format. The paper acceptance will be sent within a week from the date of paper submission. The review of articles is done through a blind peer review. All the articles received by IJIIRD are send to Review Committee after deleting the name of the author to have an unbiased opinion about the research. Yes. We would accept an article with any number of pages and extra charges will be collected if it exceeds above 6 pages. How to download the research papers available in your journal? You may go to the current issue or Past Issues by click ‘Archives’ option available on menu bar.